Launching your first eCommerce store can be one of the most affordable paths to entrepreneurship. As this is as an area where you’re able to not only enter any subculture you want but additionally do so at a rate that fits within your budget. If you’re going to be launching an eCommerce store, then one of the first steps you need to take is researching how you’re going to launch and where. eCommerce is big business; in fact, according to Selz, 71 percent of consumers believe they’ll get a better deal online than anywhere else. And if you’re able to capitalize off huge markets like that, then you’re in one of the best positions to start thriving. In regards to researching your eCommerce platform customers, first look at the type of demographics you’re currently trying to sell to, including not only the primary items but secondary as well. Remember, a big goal for your business will be to sell people on the extras, which you’ll need to bring on at a reasonable price. Finally, your research should be curtailed to the goals of your store, honing in on how you can separate yourself from the competition. A significant part of any successful eCommerce store is the processes you use to ensure your business is running smoothly. An all too common mistake is having bad or inefficient processes, which as noted by Entrepreneur, accounts for 20 to 30 percent of revenue lost. However, a lot of that can be prevented if you learn how to put the proper procedures in place. While it might sound boring, start mapping out the different processes you’ll need to establish for your business, including everything from the payment processor you’ll use to the epacket shipping software you’ll have to purchase. Furthermore, see how these things behave with one another, as well as which ones integrate best, saving you time and money. The best things to look for are what packages eCommerce platforms like Shopify and Bigcommerce offer, as those have been around some of the longest. Because although this process might sound meticulous, it’ll also be one of the biggest lifesavers down the road. 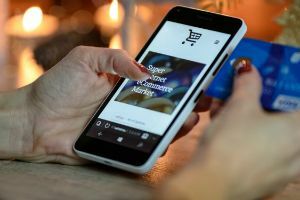 Another important point for starting an eCommerce shop is being smart about your resources, including how you can maximize them to getting the best ROI. While this might sound difficult, the actual practice of it is much more simple than you’d imagine. The name of the game is working out what you can get from someone and then work towards a bulk rate to which you both can agree. For example, as noted by Upwork, the average graphic designer cost around $45 per hour to hire; however, you need them to not only do your logo and branding assets but the website as well. By focusing in on how you can work in a bulk rate for all the services, you’ve now invested in something that’ll last you long-term while making both parties happy. If this is a route you feel like you’re going to go, I highly recommend hiring lawyer Aaron Kelly for your contract needs, since he specializes in assisting startups. As hiring outside contractors can be a drain on your wallet if you’re not careful, put all your demands on paper and protect yourself while maximizing what you need to be done, ensuring you both get a fair shake. Finally, as any great entrepreneur will tell you, being in love with learning is one of the most important skills you could have. As you’re most likely going to go through some ups and downs with your career, it’s good to note how these things are impacting you into the future. Which, one of the first places to get started with your learning is by obtaining a mentor. Mentorship is an incredibly common practice nowadays, in fact, as noted by Deloitte, 94 percent of millennials said they receive quality advice from their older peers. Take the time to look around your community to find someone who could be of value to you, but also be sure to look outside your immediate circle for impactful role models as well. For example, you could read the advice of Brian Magierski on Medium; he’s a serial entrepreneur working in multiple disciplines. As this process is all about your learning experience, make it one that will benefit you long-term as an aspect you truly enjoy.